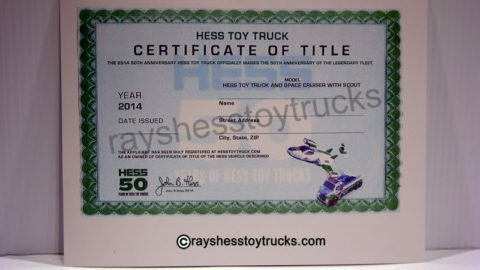 Home / Hess Toy Truck Specials / 2003 Hess Truck & Racers – Read Details – One Left! 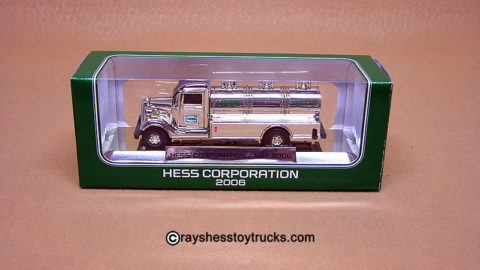 2003 Hess Truck & Racers – Read Details – One Left! Complete with truck, box and all packing. READ DETAILS PAGE. The truck measures approximately 14″ in length. 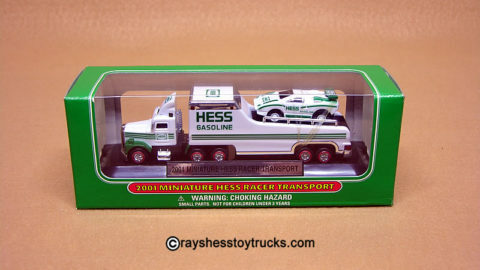 Hess has headed for the Indianapolis Speedway with this year’s addition to the Hess Truck Collection. It is an over/under dual Indy-style Car Transporter. Both cars feature lighted head and taillights. Hess has done it again by putting pullback motors in the cars. Simply roll the car backwards to charge its motor, and then let go for some fast racing action. 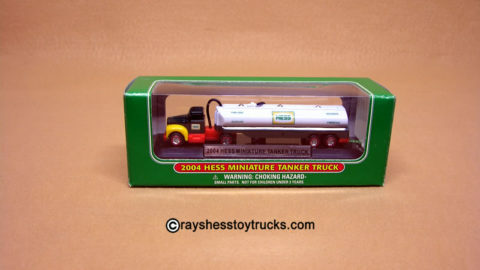 This is the largest truck that Hess has released. The box is also mint with bright graphics and complete with all packing. The truck has discolored slightly, which actually makes it look unique (see pics).